﻿ Chain Link Fence - Wire Mesh Fence - Anping County Zhuoda Hardware Mesh Co., Ltd.
Chain link fence is a type of woven wire fence usually made from galvanized or PVC coated steel wire and have a diamond-shaped mesh. It is widely used in gardens, sports yard, industrial sites, houses, roads and events for crowd control. Weaving and Features: Uniform opening, flat surface, simple weaving and practical use. Easy and flexible for installation and connecting. Traditional Chain-Link Fencing is the ideal choice for a smart, secure, boundary fences for industry. 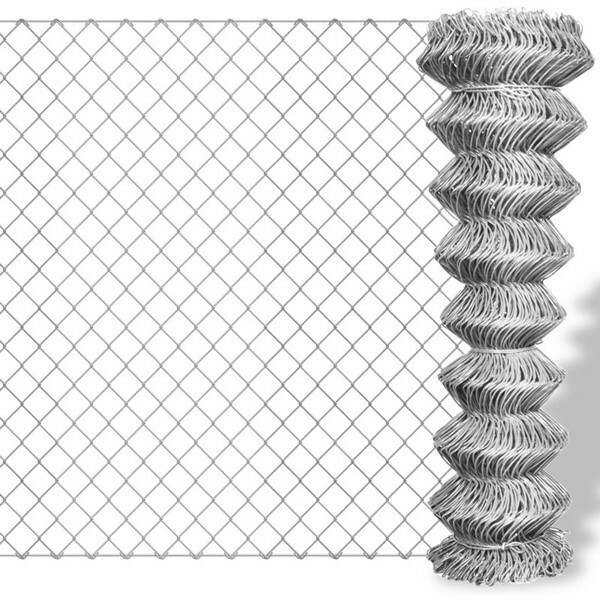 We produce industrial chain link fence with hot-dipped galvanized, PVC coated and stainless steel wires. The most popular is galvanized chain link fence, which has good resistance to water and atmospheric corrosion. However, PVC coated chain link fence durability is better than galvanized fence. Mesh 1" 1.5" 2" 2-1/4" 2-3/8" 2-1/2" 2-5/8" 3" 4"